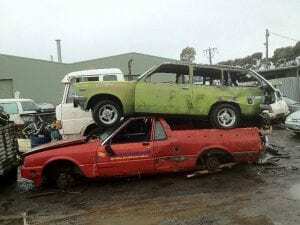 Why is it important to remove junk cars from the streets of Melbourne? If you have a junk car in your garage, then you can sell it to the junkyard. Junk cars are of no use and are known to be better suited in the junkyard. Thus it is better to call a car wrecker company that will provide you cash in exchange of your old and scrap car. No matter how badly damaged or broken your car maybe, we will still take it. We are a car wrecker company and it is our duty to keep the environment clean by leaving no mess on the streets of Melbourne or in your backyards. w offer you that much money. We can guarantee you that. Car wrecker companies in Melbourne are known to be one of the best in the industry, but we at ‘Cash for used cars Melbourne’ will probably offer you the best benefits when you sell your car to us. We will pay you best cash for cars that you bring to us. We will actually pay you top dollars for each car. We at ‘Cash for used cars Melbourne’ have one of the best cash for car programs. We provide our customers with at least $8,999 for each car that are in good condition. If your car is badly damaged, we will still take it. We promise you no gimmicks or tricks. This is for real. Our junkyard will accept almost anything that is beyond repair, broken, has severe wear and tear and can completely be treated as scrap car. Such cars will also sell in our junkyards. We provide cash for every used car that s out there in Melbourne. We deal with all kinds of brands and car types including Japanese, American, Asian, Australian and European cars as well. No matter how old the car is, we will take it. It could be at least two to three decades old, but we will still consider buying any such old and classic cars. We are ok with the make, model, year and condition of the car. Selling scrap cars Melbourne get you the benifits to save our envrionment and also way to collecting the money that can not be use anymore. So if you have a broken car, simply call the number provided on the website and we will come to you. If you rather like, we may eventually send you a junk car removal expert who can sort out the financial side of things including how much cash to provide in exchange of each broken car. If you like our services and would be interested, then you can call the number provided on the website or you could also fill up the form already provided. Alternatively you could also email us. One of our representatives will get in touch with you with all the answers for your queries.